Baubles ( exact: clutch / sim: pave link bracelet, tortoise bracelet, cluster earrings). 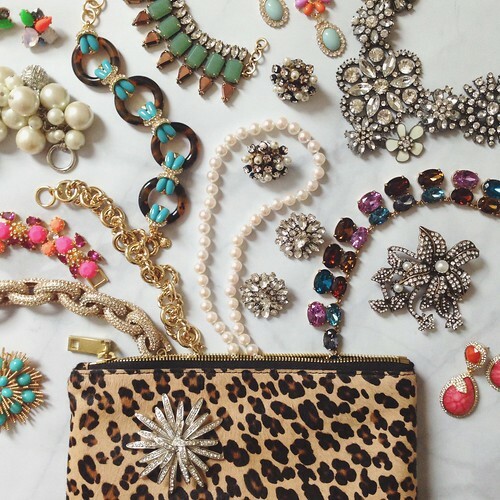 Other: statement necklaces, brooches, cluster earrings. 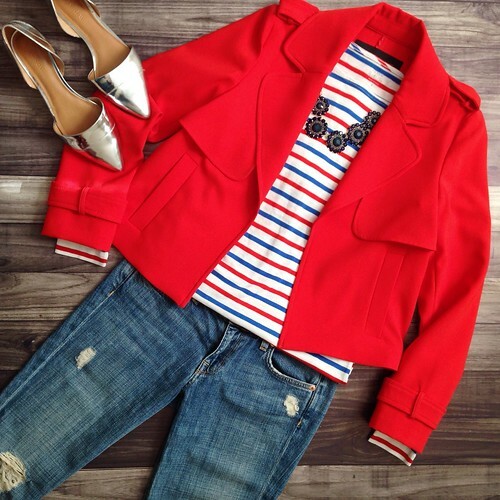 Red, white and blue (exact: top / sim: jacket, flats, necklace). Other: silver metallic flats, red jackets, distressed jeans. 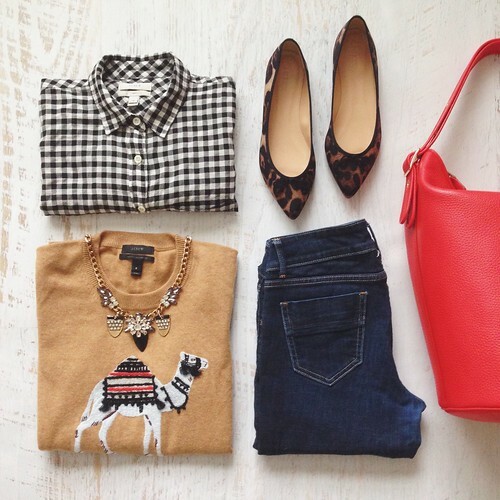 Camels (exact: flats, shirt / sim: camel top, this season's duffle). Other: red leather bags, black gingham clothes, ballet flats. 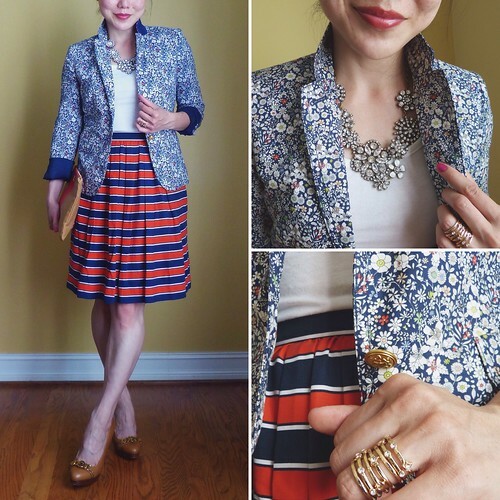 Liberty floral (sim: blazer, skirt). Other: striped skirts, floral blazers. Spring boots (exact: boots / sim: blouse, ring). 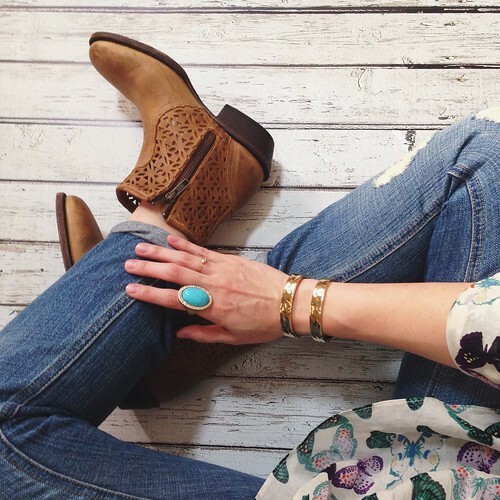 Other: flat ankle boots, turquoise rings. Spotted and ruffled (sim: top - striped version, skirt). Other: coral necklaces, polka dot clothes. 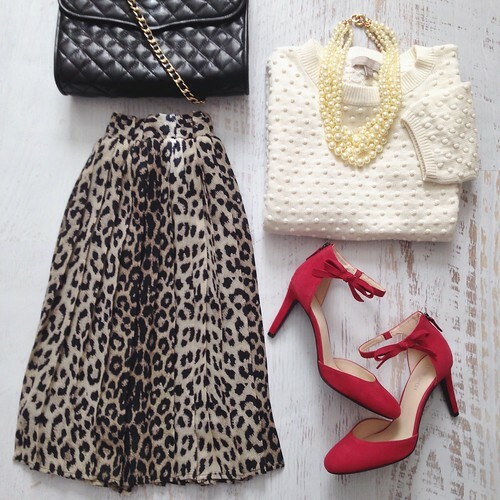 Lady-like leopard print (exact: necklace, heels / sim: skirt, sweater). Other: Chanel bags, pearl necklaces, leopard print clothes. * This post contains links to Shopbop, a sponsor of Respect the Shoes. The content is my own and all "other" links are direct, not affiliate. Thank you and have a lovely Easter weekend! Thank you much - happy Easter!